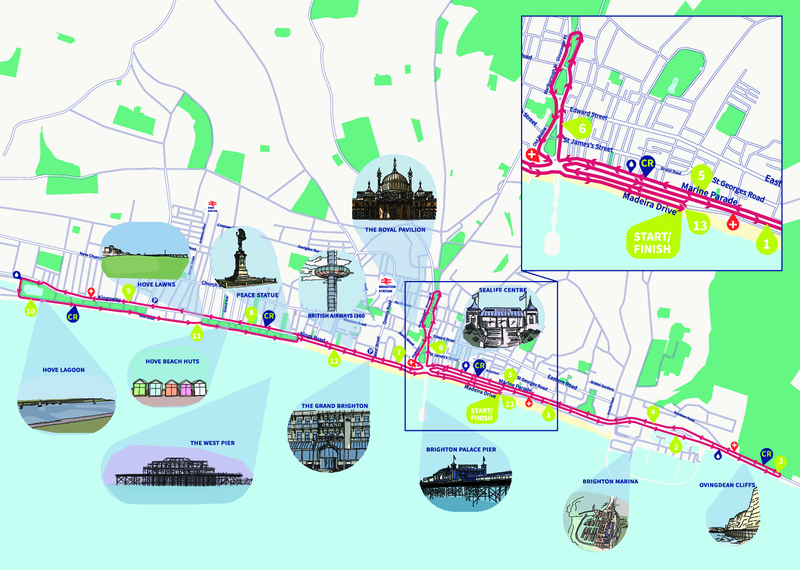 The Brighton Half Marathon is run on abeautiful seafront course, amazing crowd support and one of the first half marathons on the running calendar. 2019 will be the 29th year of the Brighton Half Marathon. One of the first major halfs in the running calendar, the race is now one of the most popular races in the UK. A small group of individuals started the race back in the early 1990s and the money raised from that very first race was used to help fund the building of The Sussex Beacon, the charity which organizes the race. Over the past 28 years, the race has grown in numbers and it is now one of the largest running events in the south east and a significant fundraising event for many worthy charities and causes. The Brighton Half Marathon is the biggest annual fundraising event for The Sussex Beacon, supporting a specialist HIV care centre in Brighton. The start and finish of the race are on Madeira Drive next to the Steve Ovett statue. Starting on Madeira Drive, you’ll turn right at theSeaLife Centre, towards Ovingdean, passing regalRoyal and Lewes Crescent architectureon your left. Continuing on Marine Drive and thebracing cliff tops, the race will head towards the Blind Veterans UK centre, where a sharp turn on the road before the Greenways Roundabout will bring you back west towards Brighton, enjoying wonderful cliff top andpanoramic city views. Picking up the pace as you run past the iconic blue railings on Marine Parade, spotBrighton Palace Pieron your left. At Aquarium Roundabout the race heads north, past the grandeur of theRoyal Paviliontowards the majesty ofSt Peter’s Church. Turning at Gloucester Place, you head south back down Grand Parade to the Old Steine before turning right onto Grand Junction Road. Once past the two piers, you will head into Hove along the Kings Road with the majestic cream regency architecture on your right and the sea on your left. Past the King Alfred Leisure Centre, you will run toHove Lagoonbefore turning left onto the seafront. A great two mile run past the colourfulbeach hutsof Hove will bring you back to thePeace Statue, where the race re-joins the road for the last dash past cheering crowds to the finish on Madeira Drive. 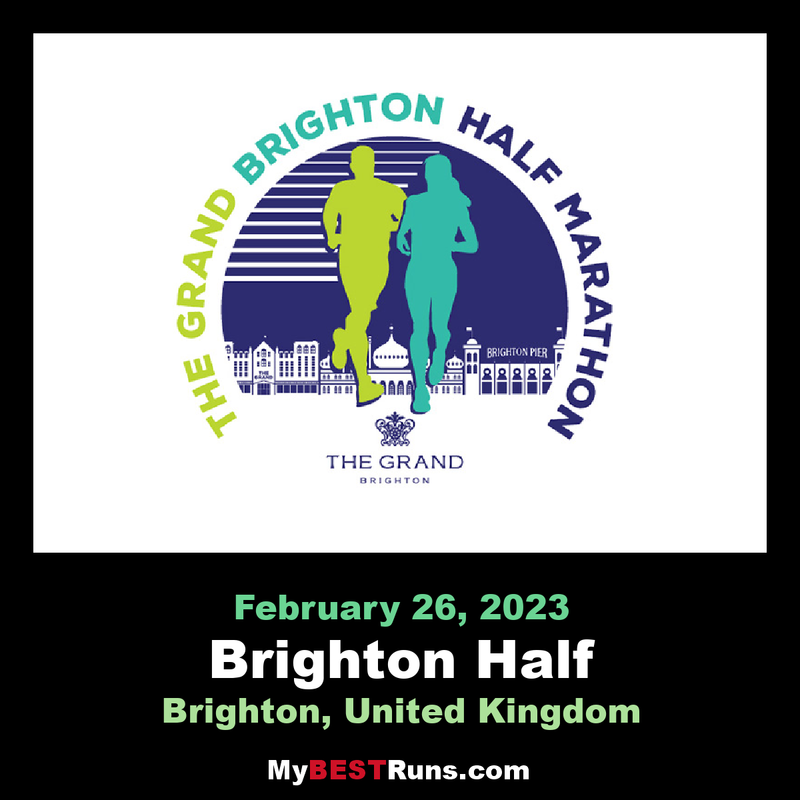 2019 will be the 29th year of The Grand Brighton Half Marathon. One of the first major halfs in the running calendar, the race is now one of the most popular races in the UK. Over the past 29 years the race has grown in numbers and it is now one of the largest running events in the south east and a significant fundraising event for many worthy charities and causes. 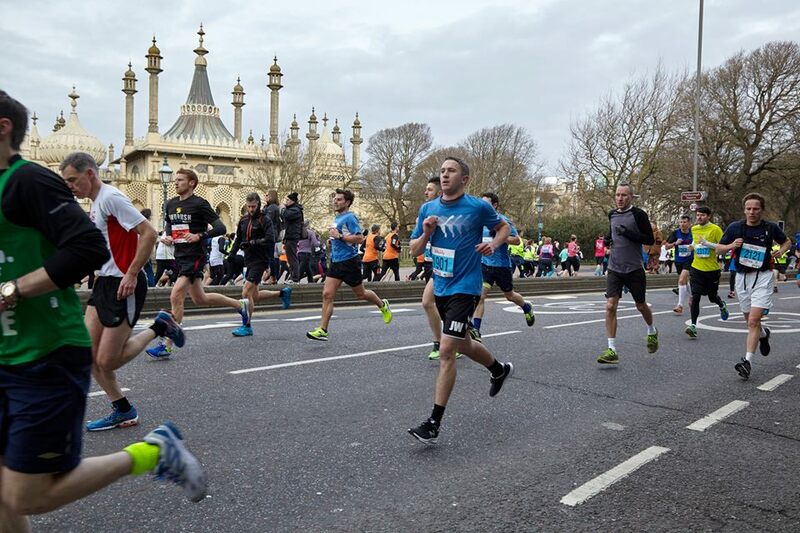 The Grand Brighton Half Marathon is the biggest annual fundraising event for The Sussex Beacon, supporting a specialist HIV care centre in Brighton.